Reggie Jackson has been ice fishing for years. Never did he expect to see a large moose stranded in water. 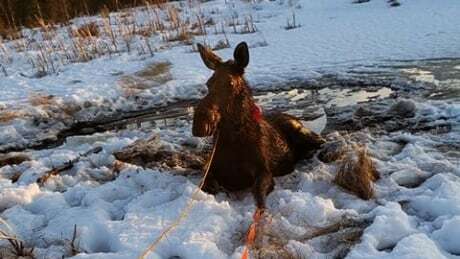 He and another ice fisherman rescued the animal with ropes and a ski doo at Wildnest Lake in Saskatchewan.